FACT CHECK: More Than 2 Months Into 2019 – Are Murders Down In Chicago? David Menschel, a criminal defense attorney and activist, tweeted March 6 that the number of homicides in Chicago has decreased over the last three years. The claim was retweeted by MSNBC host Chris Hayes. “In Chicago, homicides are down 43% year over year, 54% over two years, and 55% over three years,” reads the tweet. 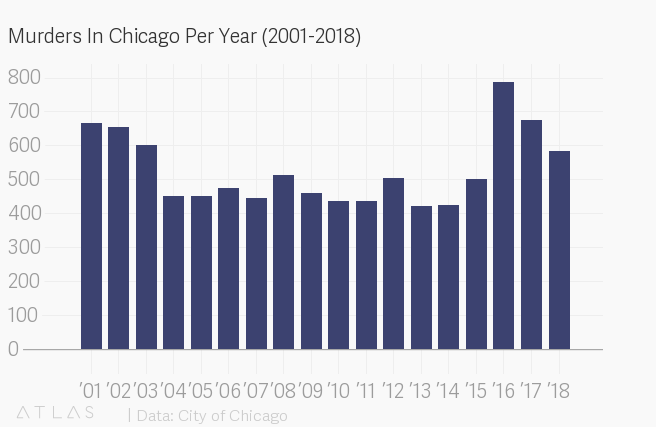 Data from the Chicago Police Department (CPD) shows that homicides were down 43 percent over the prior year in the first nine weeks of 2019. The decline was more stark – over 50 percent – when compared to 2016 and 2017. In his tweet, Menschel argued that the media were not devoting enough coverage to the declining murder rate in Chicago. “National publications were helicoptering in when homicides were up – eager to make Chicago a symbol of black violence. Mostly silence from them now,” he said. Menschel linked to a report from CPD showing that there were 47 murders in Chicago during the first nine weeks of 2019, compared to 83 over the same period last year – a 43 percent decrease. There were around 100 murders in the first nine weeks of 2016 and 2017. The numbers for 2019 change every week, and the department has since released data for week 10 that are slightly higher than the prior week. Although murders often receive coverage from the press, many national outlets including CNN, Fox News and The New York Times have covered the drop in Chicago. Chicago had a total of 585 homicides in 2018, down from 675 in 2017 and 788 in 2016, according to Chicago’s online data portal. (Other sources give slightly different totals.) Despite the progress, the number of murders in 2018 was still higher than every year from 2004 to 2015. The city is in the middle of the pack when it comes to the homicide rate though, which takes into account population size. 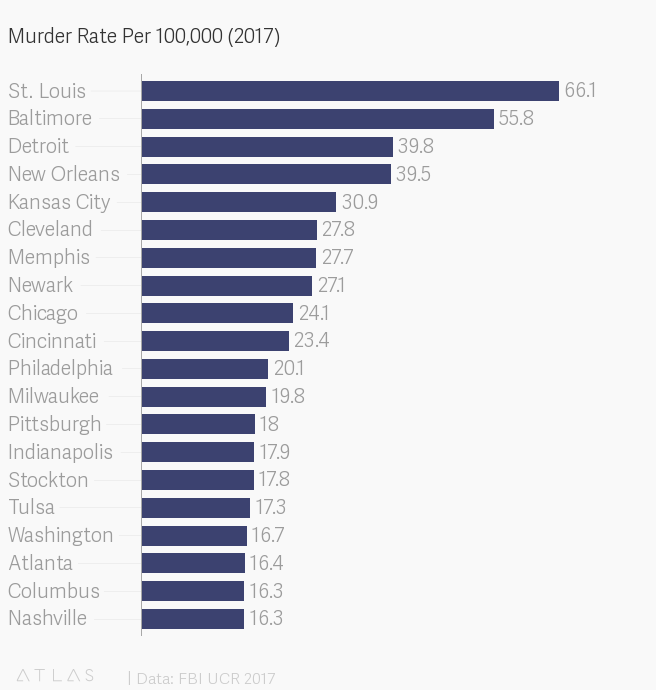 Cities like Baltimore, Detroit and New Orleans had higher per capita murder rates in 2017, according to The Trace. CPD attributes the drop in murders in the past two years to “strengthened community partnerships, investments in data-driven policing and the creation of strategic decision support centers in 20 of the city’s 22 police districts.” These support centers utilize gunshot detection technology, as well as cameras and predictive analytics to help officers get to the scene of the crime as quickly as possible. In the last two years, CPD also achieved its goal of hiring an additional 1,000 officers. Chicago had over 12,000 full-time law enforcement officers in 2017, according to the FBI. CPD also seized 9,500 illegal guns in 2018, about 9 percent more than were confiscated the previous year. “While there is still work to be done, the reduction is believed to have contributed to the overall drop in shootings,” reads a CPD press release. Police say most of the murders in Chicago are gang-related shootings that disproportionately occur in poor black and Latino neighborhoods. “Are we where we want to be? Of course not,” Chicago Police Superintendent Eddie Johnson told The Chicago Tribune. “I do think we are taking steps in the right direction,” he added.